See-through Loose Knit Textured Sweater Fabric By the Yard, Black/White. 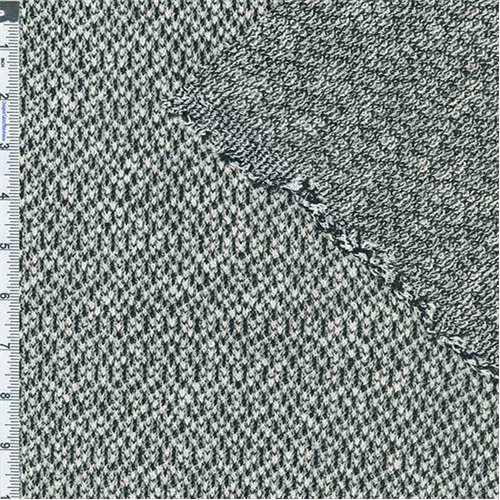 Lightweight loosely knit fabric, lightly textured yarns, soft hand feel, great drape. See-through: suitable for lightweight stretch overlay fashion sweaters, tops, and scarves.